I'm a little bit late in my post for my July short fiction reading, but I've been reading all along. Unusually for me, this month I read three novellas, one of them approximately 40K words long, balanced on the other ends by lots and lots of flash pieces and even microfiction, which I count as under 500 words. The two standouts for me this month fall on either end of that spectrum, with one flash piece and one novella. 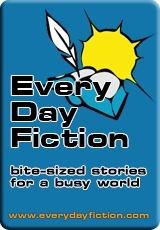 I have to admit, my long fiction reading is suffering as a result of this story-a-day project. But I think I have become addicted to the short form, so that may be the way it has to be. This short mainstream piece is about a man who has both cancer and regrets. In that sense, it's not what I'd call an innovative story, but I felt as though every word in the story was the right choice. The author conveys so much in a few words. 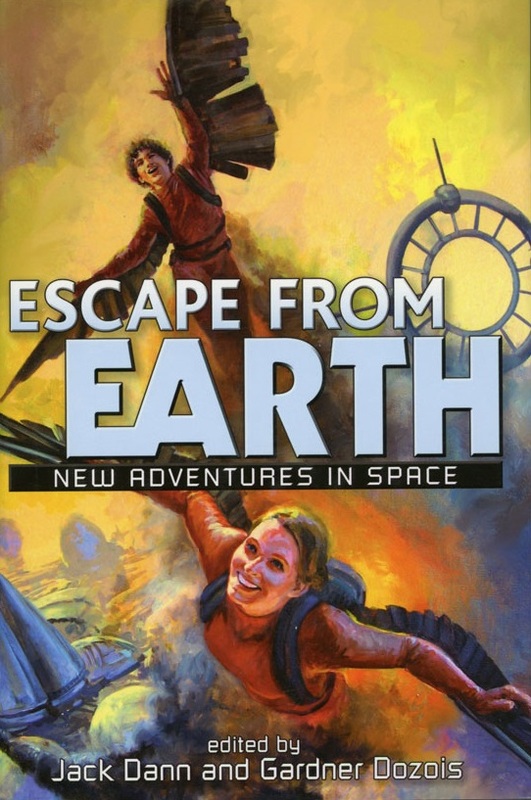 This novelette appears in the anthology Escape from Earth, in which editors Jack Dann and Gardner Dozois were charged with finding stories with a traditional juvenile sensibility of longing to "see what's happening out there." I haven't read all the stories in the anthology yet, but Elizabeth Moon's "Combat Shopping" certainly filled the bill. Twelve-year-old Andi Murchison longs to get her pilot's license as a possible means to escape her stifling life in a habitat on Jupiter's moon Ganymede. When she defies her adoptive mother's orders to take the test, it sets off a chain of events that reveal some unexpected secrets about her situation. I loved the way Andi takes charge of her own destiny, yet doesn't forget her responsibilities to others, particularly her adoptive siblings.